“JIT Image Manipulation” – Concepts – Learn – Symphony. JIT Image Manipulation provides a URL-based API for dynamically transforming images. JIT (Just-in-time) Image Manipulation is an extension that can dynamically transform images based on a set of parameters provided to it via specially-formed URLs. The extension is able to crop and/or resize an original image (whether internal or external to a Symphony project) and then cache and return the resulting, modified image. JIT Image Manipulation is invoked via a specially-formed URL. The base of the URL is http://your-site.com/image/. Additional URL parameters follow, specifying the desired transformation mode, options, and file location (see below). JIT Image Manipulation has four modes of operation, each of which requires a slightly different URL structure. See below for details on specific parameters. Default: Direct display will simply display the original image as-is when no mode is provided. Mode 1: Resize will resize the original image using the width and height parameters provided. If either width or height is 0, the extension will resize using the other value and maintain the image’s original aspect ratio. Mode 2: Crop to Fill will first use the position parameter and the smaller of the two dimension parameters (width and height) to resize the image while maintaining its original aspect ratio. Then it will crop the remainder of the image using the other (larger) dimension. Mode 3: Crop will resize the original image’s canvas using the width, height, and position parameters. If the resulting canvas size is smaller than the original in either dimension, the original will be cropped. If it is larger than the original in either dimension, the additional space will be filled using the background color parameter. Mode 4: Resize to Fit will resize the original image to fit within the width and height parameters while maintaining aspect ratio. This option does not crop the image and ensure both width and height of the image stays within the defined boundaries. 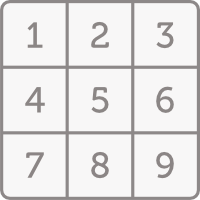 Width Number in pixels. If 0, height must be specified and width will auto-adjust, keeping original aspect ratio. Height Number in pixels. If 0, width must be specified and height will auto-adjust, keeping original aspect ratio. Position Number 1–9, specifying region from which to crop/resize. See grid below. External Optional. 0 or omitted for internal images. 1 for external images. Path Path to the original image. If the image is internal, this is a relative path from /workspace. If the image is external, it is a URL (excluding http://). When using the "Crop to Fill" or "Resize Canvas" modes, the transformation will be anchored according to a position parameter. The image below shows the possible parameter values along with their respective positions.